The staff of the Section of Archaeology at The State Museum of Pennsylvania just completed a very busy week at the 2019 Pennsylvania Farm Show. The weather was cool but no snow. We seemed very busy, especially the first weekend. However, based on our sampling system, we estimated that approximately 33,000 people visited our exhibit. This is down slightly from last year. This high volume of attendance is a testimony to the quality of the exhibit, the initiative of our volunteers in engaging the public, and the public’s interest in archaeology. We would like to sincerely thank you for your personal contributions and hard work. There is no question in our minds that this exhibit and your efforts make a difference in Pennsylvania archaeology. We continued to see excitement in the eyes of children and adults as they sat in the dugout and as they stood gazing at the artifacts in the display cases, wondering what it must have been like to live in Pennsylvania many, many years ago. The dugout is becoming the place to take the annual family picture. You spoke to thousands of visitors and distributed over 6900 archaeology brochures, 755 copies of American Archaeology magazine and 765 back issues of Pennsylvania Heritage Magazine. You also handed out, 1435 Planetarium tickets, 498 Archaeology Month posters and 1548 tattoos. These were especially important in promoting the Pennsylvania Historical and Museum Commission, the State Museum and the Heritage Foundation. The Farm Show presentation is a great way to advance the goals of our respective agencies and organizations. For most, if not all of us, this event represents the most intensive interaction with the public that we have all year. Our primary goal is to promote the archaeology of the Commonwealth and visitation to the State Museum. However, it is also an opportunity to share highlights of Pennsylvania archaeology with our fellow citizens and to promote membership in the Heritage Foundation and the Society for Pennsylvania Archaeology. Pennsylvania has an outstanding wealth of archaeological resources that we believe can enhance the lives of all citizens. Our exhibit on the archaeology of Susquehannock Indians and the information you disseminated was one step in communicating this heritage to the people of Pennsylvania. This year, we felt the public had some knowledge of this Indian tribe and our conversations were much more interactive. As you know, the archaeology of Pennsylvania is being destroyed at an ever-increasing rate. We need help in slowing this destruction. 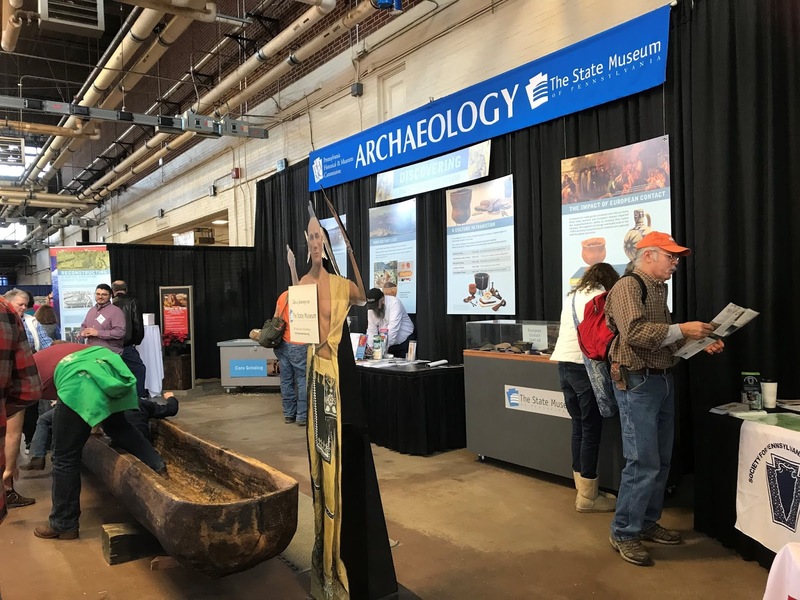 We feel the Farm Show exhibit represents a significant vehicle for the dissemination of information and for increasing the public’s awareness of the threats to their archaeological resources. We are very interested in everyone’s comments on how to improve the Farm Show presentation, so please send us your thoughts. We have not picked a topic for next year’s Workshops or the Farm Show so if you have suggestions, please let us know.